If I recall correctly, this song was inspired by the July 1994 issue of Discover magazine which commemorated the 25th Anniversary of the first Apollo moon landing. The article also discussed the current and future state of NASA (as regarded from the mid-90's). 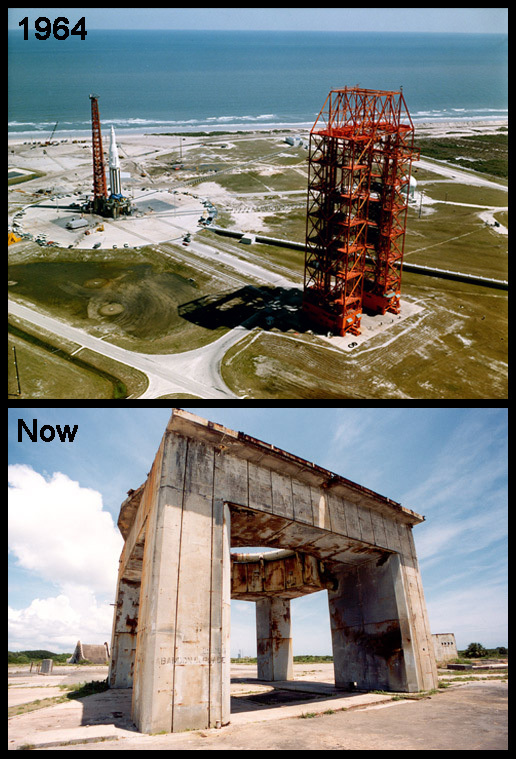 In the article there were several pictures of the original infrastructure built up to support the historic Apollo missions to the moon. By 1994, the launch pad, deflectors, control tower, and other critical structures were empty and abandoned. The whole idea struck me as strange. These structures were part of a program that captured a country's efforts and the world's interest for several years. This was the hub of everything for a while. To see it all relegated to the status of a derelict ruin seemed profound somehow. The song mentions those who were 'gods of the sky'; those who for a time, were on the world's center stage. I'm sure there were other deep thoughts buried in this song, but it's probably best to absorb the song on the merits of how it sounds to the listener. You can make your own deep thoughts if you want.